Velvet furniture is a trend that is showing no signs of slowing down. With 2018 all about 70s inspired luxe, velvet is one retro style that we’re happy to welcome back. Velvet’s neat pile reflects light, creating a soft sheen that is wonderfully decadent. Not to mention, it ages SO well, with bruising to the fabric only adding to its elegance. 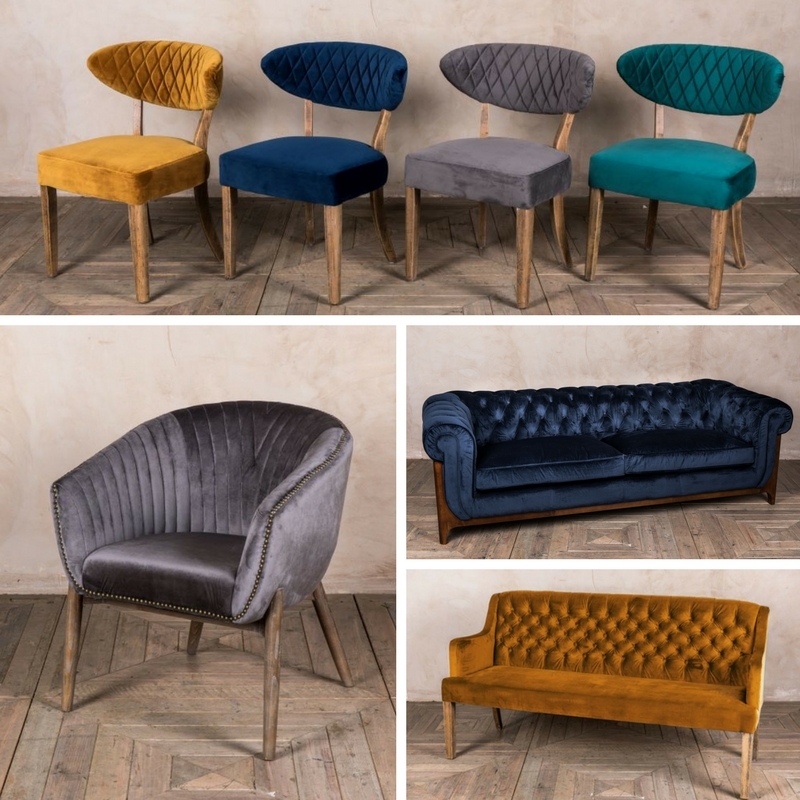 Follow the links below, or shop our full seating collection to find out more! A velvet sofa is an easy way to add a high-end look to a room. Spring is around the corner, so there’s no better time than now to indulge in a colourful new addition. 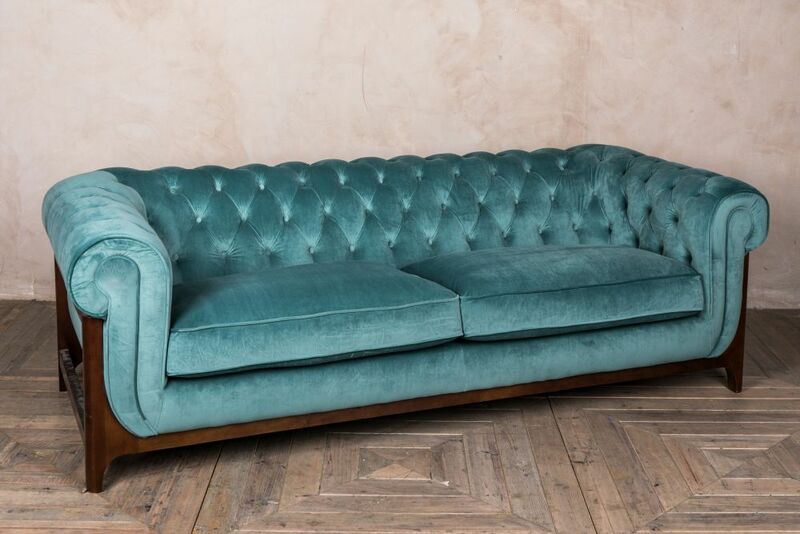 Our velvet ‘Dijon’ sofas are perfect for relaxing on, and their rich colours are luxurious and inviting. They are available in three stunning colours: navy, duck egg, and smoked pearl. 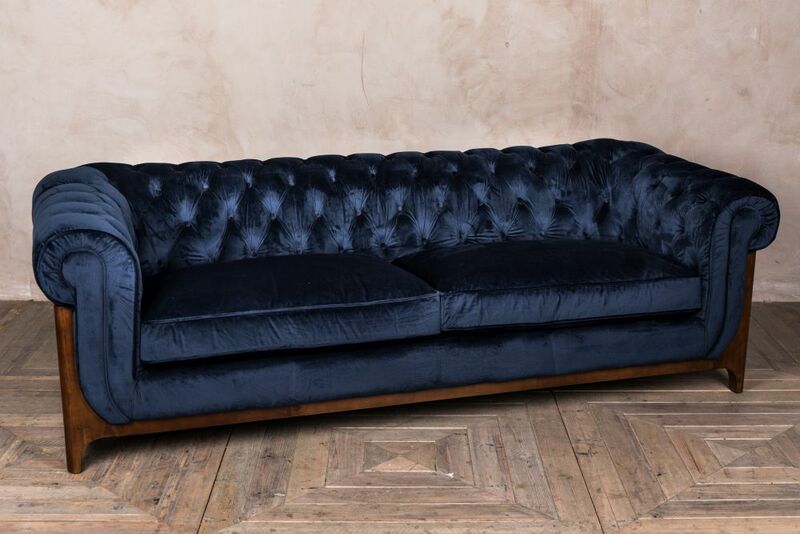 If you’re also indulging in the ‘inky blue’ trend of 2018 then the navy sofa is a piece too perfect to pass up! 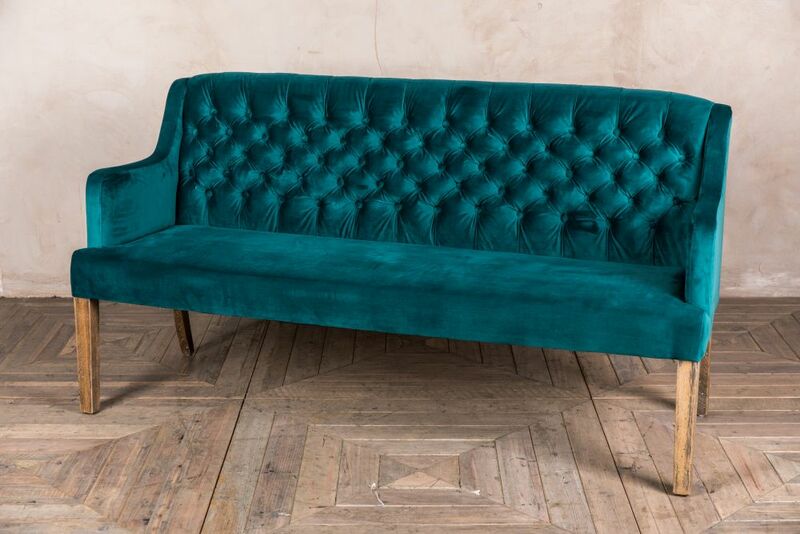 As if velvet wasn’t 70s enough, we’ve added a quilted velvet loveseat to our line up! The ‘Bavaria’ is available in bold teal and soft mink. What’s more, we have velvet tub seats to match. The upholstery on our ‘Bavaria’ range is so soft, we can guarantee you won’t be able to stop stroking the material from the second you sit down. 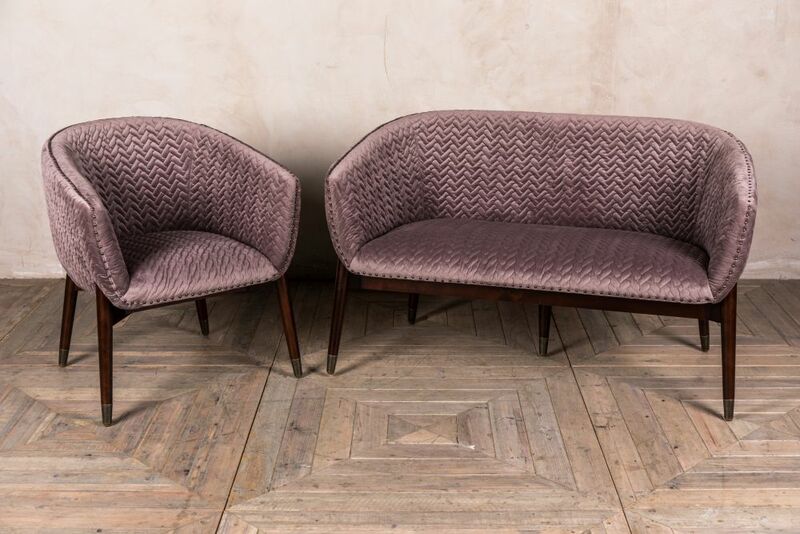 If you’re after a velvet tub seat but quilted isn’t quite your style, we also have the ‘Granville’ in smoked pearl and duck egg. 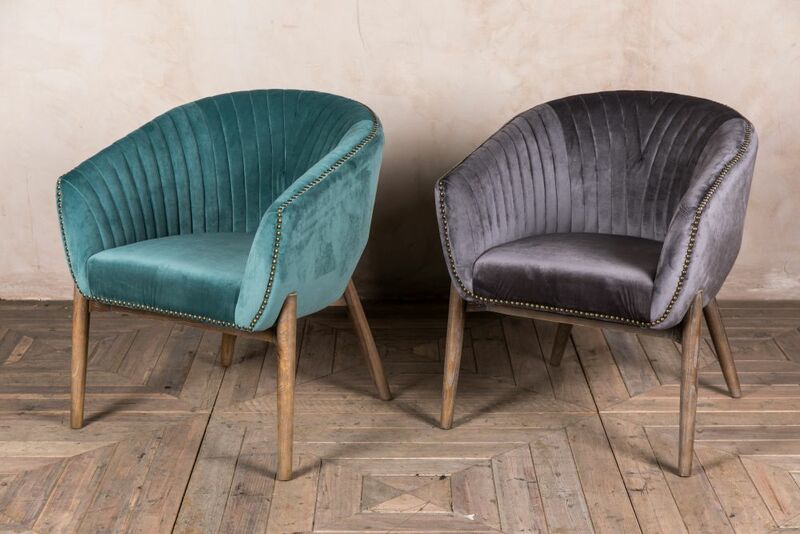 If you’re looking to pack a big style punch into your interior this year, our velvet ‘Beverley’ armchair is full of glam attitude. 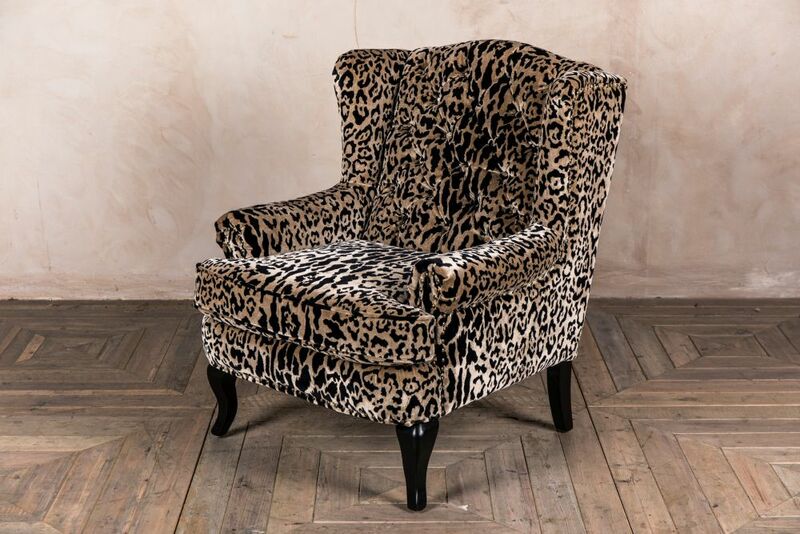 Its bold leopard print upholstery makes it a fantastic feature chair; it would be ideal for jazzing up a neutral interior or for clashing with other patterns in an eclectic space. 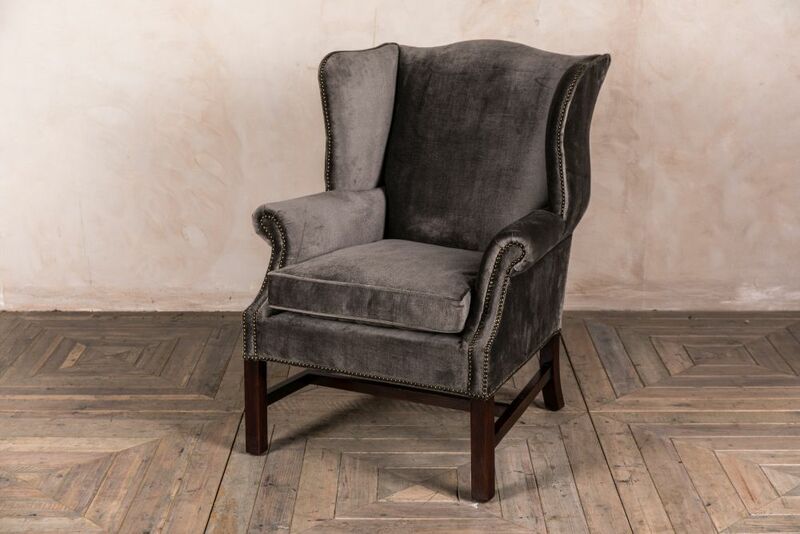 For something perhaps just *a little bit* more understated than the ‘Beverley’, why not go for the charcoal ‘Kingston’ armchair? Its dark grey velvet upholstery and mahogany coloured frame are a brilliantly dramatic combination. Brass stud detailing brings the traditional design up to scratch with 2018 trends. Place it in a room with brass accent pieces for an undeniably stylish finish. 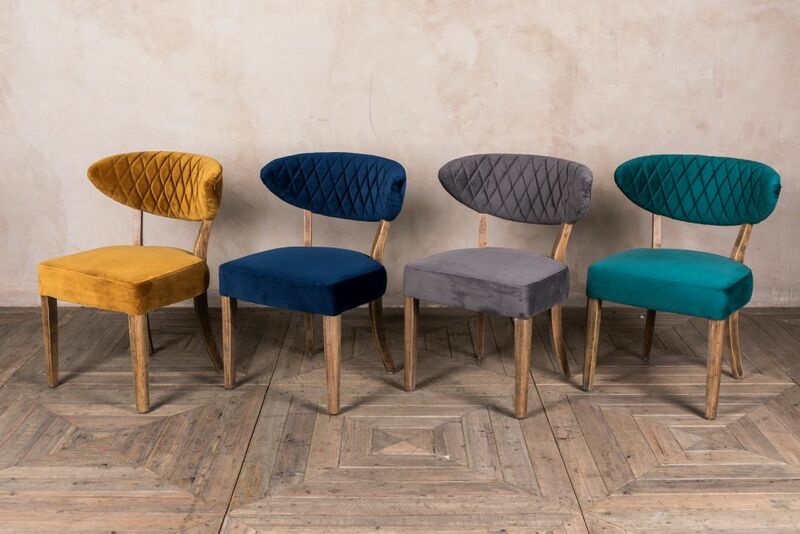 Adding colour to your dining area has never been easier than with our velvet dining seating ranges. 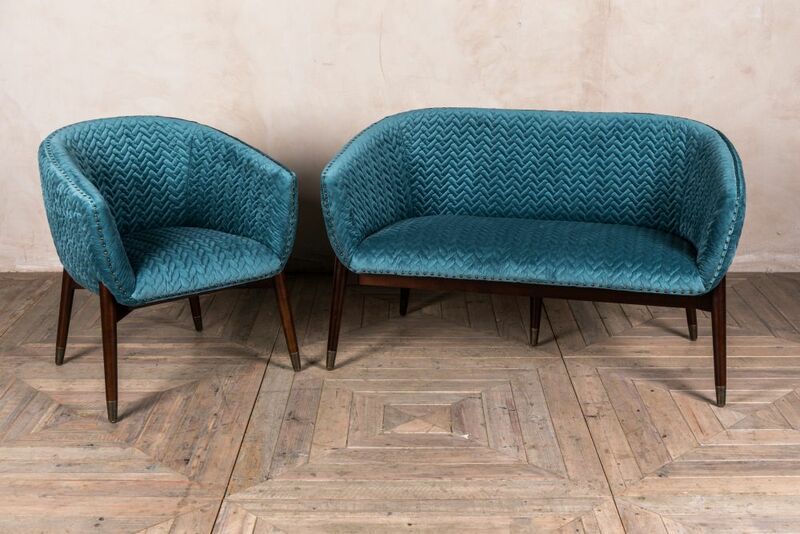 The ‘Orleans’ chairs have a fantastic retro design, featuring sumptuous curves and bright jewel tones. The natural finish on their oak frames would make the chairs coordinate seamlessly with other wooden furniture, and delicate diamond-shaped stitching on the back-rest adds to their luxurious appearance. We stock the ‘Orleans’ in navy, mustard, teal and grey. 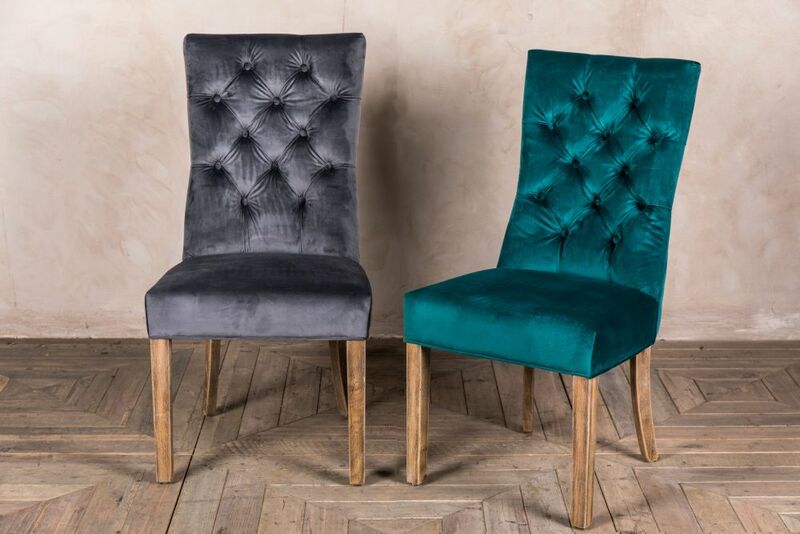 If you like a more traditional dining chair shape, but still want to indulge in a touch of velvet, then the ‘Brittany’ chairs are for you. Their pressed button back paired with velvet upholstery in sea blue or silver grey makes them a stand-out addition to any dining space. Finally, our favourite alternative to dining chairs: a velvet dining bench. The beautiful ‘Marseille’ bench would also suit a hallway, study, conservatory… just about anywhere really! It’s available in sea blue and mustard, and in two or three-seater varieties. If you don’t fancy using it as a dining bench, it’s the perfect place to read a book or enjoy a tall cocktail whilst looking as glamorous as possible. An added bonus of velvet furniture is that is surprisingly low maintenance and durable. Keep it looking lovely with regular vacuuming and use a steamer to buff out any bruising of the fabric. So, there you have it. Hard-wearing, easy to care for, and ideal for putting a glamorous yet contemporary finish to an interior. Everyone needs velvet in their lives and a piece of fabulous velvet furniture is the best way to go about it.